Homeopathy is a therapeutic system. Its principles differ from those of conventional medicine, as does its approach to the patient and to the concept of ill health. However, it cannot replace all other forms of health care. It can be used as the treatment of first choice in a wide range of conditions and can be a useful addition, or “complement” in other situations, for example, to support good recovery after operations. The concepts of disease and healing which are described in homeopathic books are quite similar to modern scientific concepts. Homeopathy emphasises the importance of treating individuals as individuals and of understanding the whole person as opposed to only a single “diseased part”. The body has many complex health-maintaining defensive mechanisms. The immune system is an essential part of this, but other factors also have a role to play. If these mechanisms fail, then we sustain damage or wounds which then have to be repaired. Homeopathy works by stimulating both the health-maintaining and the repair mechanisms. Modern homeopathic practitioners work in the same way as their conventional colleagues. History taking, examination and investigation are all important in establishing the diagnosis – in understanding just what is wrong. However, homeopathic practitioners consider a wider range of aspects of the patient’s condition – personality traits, physical features, the effects of a variety of environmental influences, patterns of disease within families, and family and social relationships. 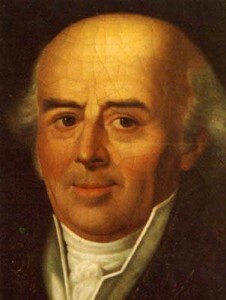 Homeopathic medicine was first described by Dr Samuel Hahnemann (1755-1843), a German physician who was dissatisfied with the medical therapies and theories of his day. As he was translating a Treatise on the Materia Medica by Scottish physician William Cullen, on medicines and their uses, Hahnemann challenged the ideas about how such medicines might work. This led him to take the substance himself so he could experience and describe its effects on a healthy human being. Repeating this type of experiment with other healthy volunteers (these experiments were called “provings”) led him to observe and describe the basic principles of homeopathic medicine. His second observation arose from his desire to minimise the harmful effects of the drugs which doctors were using. He did this by repeatedly diluting and succussing (shaking) each medicine to reduce its potential to poison and cause harm. What surprised him in his use of these preparations was that the more stages of dilution and succussion the drug had gone through, the greater its potential to cure quickly and harmlessly. 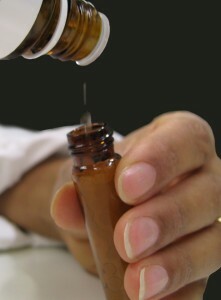 Homeopathy can be used for a wide range of conditions. It can help to heal any damage which the body has the potential to repair, and help restore the balances and mechanisms involved in recovery and health. It is widely used, for example, in conditions such as asthma, eczema and premenstrual syndrome. Despite the differences in approach, homeopathic and conventional medicines can work very well alongside each other. Consulting a homeopathically-trained conventional doctor allows the patient to receive the best of both worlds, with the most effective treatments being tailored just for them.